As spring approaches, UK homeowners naturally turn their attention to projects around the house. From routine maintenance to repairs and renovations, the promise of warmer weather stirs the desire to upgrade and update house features. Whether you’re embarking on a major overhaul this year, or simply putting a better face on your house, with a few minor renovations, sticking to sound strategies can help you get the job done, on schedule, without unnecessary spending. Many modern goods have limited useful life spans, so it’s often easier and more cost-effective to replace items, than it is to make needed repairs. However, when it comes to home renovations, your house’s fixtures and features may be worth repairing, rather than replacing. For example, kitchen renovation projects often encompass a wide range of disciplines, which may include plumbing, carpentry, electrical work, and attention to appliances. Replacing all the room’s features, such as light fixtures, faucets, countertops, and appliances can result in a massive spend. If you’re working on a fixed budget, the cost of brand new items can become prohibitive. In some cases, repairs are more cost-effective. When some of your kitchen’s features are in relatively good shape, fixing them is a good way to refresh your kitchen, without going over budget. If worn and damaged items can’t be salvaged, short-term loans are available to pay for new replacements. 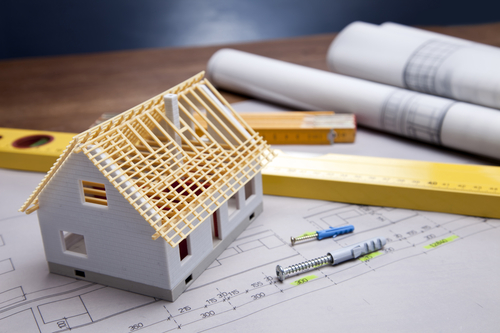 Your spring renovation projects may require outside financing, so it’s important to choose the right type of funding for the job. Placing labour and materials costs on your credit card is only a good idea if you’re prepared to pay the entire balance at month’s end. Otherwise, you’re on the hook for ongoing interest payments, until the balanced is wiped. A loan or equity terms may be better alternatives, providing the cash you need at a lower rate than costly double-digit revolving rates. For short-term coverage between paychecks, funding is offered online, using your pending pay to qualify. As long as you’re employed and have earnings on the way, the loans are funded quickly, without restrictions on how the money’s used. Timely payment is required, so this type of loan doesn’t work for renovators seeking lengthy instalment repayment terms. The last thing you want when renovating is shoddy work from tradespeople. On the other side of the equation, you don’t want to overpay for straightforward services. Shopping around helps you select contractors that are competent and bill fairly. Before making commitments, you should present your project to at least a few providers, giving them opportunities to furnish quotes for the work. When contracting home improvements, you should thoroughly vet labour, using available resources to compare quality and value. You have a few accessible options at your disposal for finding feedback about contractors. Reviews – Open forums exist online, allowing people to post reviews of renovation specialists. Though free blurbs are made available by search providers, paid membership sites sometimes yield more reliable reviews, because users must follow website guidelines for creating feedback. Testimonials – Reputable contractors are typically able to provide photos of past projects, complete with testimonials from their clients. In some cases it’s acceptable to contact them directly, to discuss their experience with a given provider. Referrals – Reviews and testimonials provide impressions from unknown parties, but referrals are often made by people you know and trust. If you’re considering house renovations, check with friends and family who’ve recently made improvements at home. Spring turns home owners’ attention to maintenance and residential improvements, but jumping in without a plan can result in excess spending. If house updates are on your calendar this year, comparing quotes, landing affordable financing, and making repairs to serviceable features are three ways you can reduce the cost of renovations.